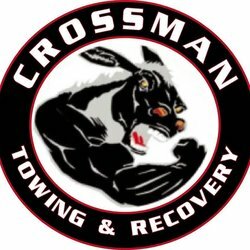 Welcome to Crossman Towing and Recovery of Fort Drum , Watertown , And Surrounding areas! Our company provides quality and reliable Towing & Roadside Assistance. Don&apos;t pay an arm and a leg to have your vehicle towed to the repair shop. We offer a wide range of Towing and roadside assistance services at the fraction of the cost. With 24 Hour Road Side Assistance, Vehicle Lock Out Service, Wrecker and Flatbed Towing, and More, Crossman Towing And Recovery is on call for you.